When telling people about your PD diagnosis, each conversation can bring its own challenges. In particular, parents are often unsure of how to share the news with young children. My Mommy has PD…But It’s Okay! is an easy-to-read illustrated booklet that can help parents navigate this tricky exchange and can help provide an opportunity for discussion. 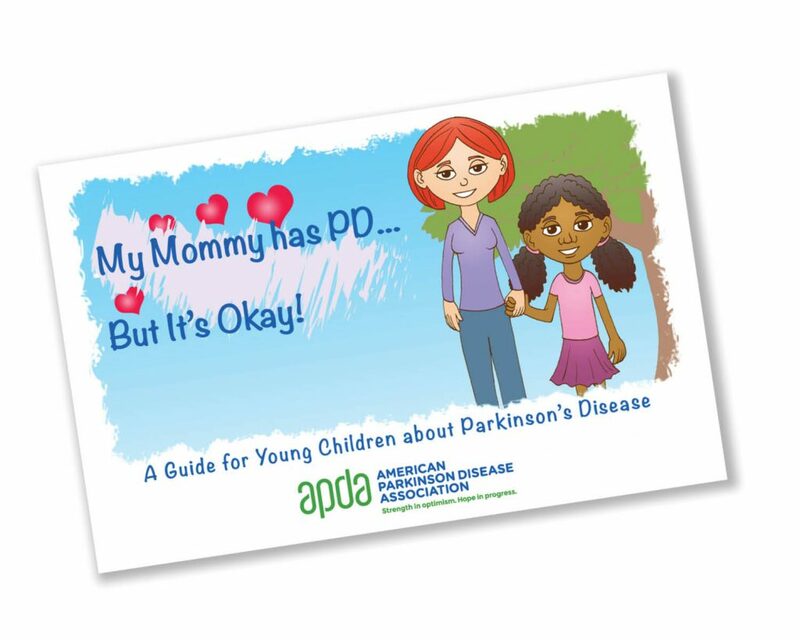 Recently revised and updated with colorful illustrations, it helps explain PD in ways that are easier for young ones to understand. My Mommy Has PD…But It’s Okay! can be downloaded for free from the APDA website and free hard copies can be ordered online as well.